Verna Norberg was born in New Era, Michigan. She graduated from Michigan State University with a B.A. of Journalism in 1934. She worked as a grade school teacher from 1934 to 1973 and became a correspondent for the Muskegon Chronicle in 1951, a job that lasted until 1972, the year before she retired from teaching. From an early age she knew that she would be a writer. She spent every free second reading anything she could get her hands on. In her senior year at Michigan State she won three writing contests; although not her first, they were the most influential in her decision to pursue the childhood dream. She first considered writing for children when her daughter refused to eat until she’d heard one of her mother’s stories. These bribes were often set in the places that she had been reading about recently, and as she became more and more interested in Africa, they began to be set there more frequently. 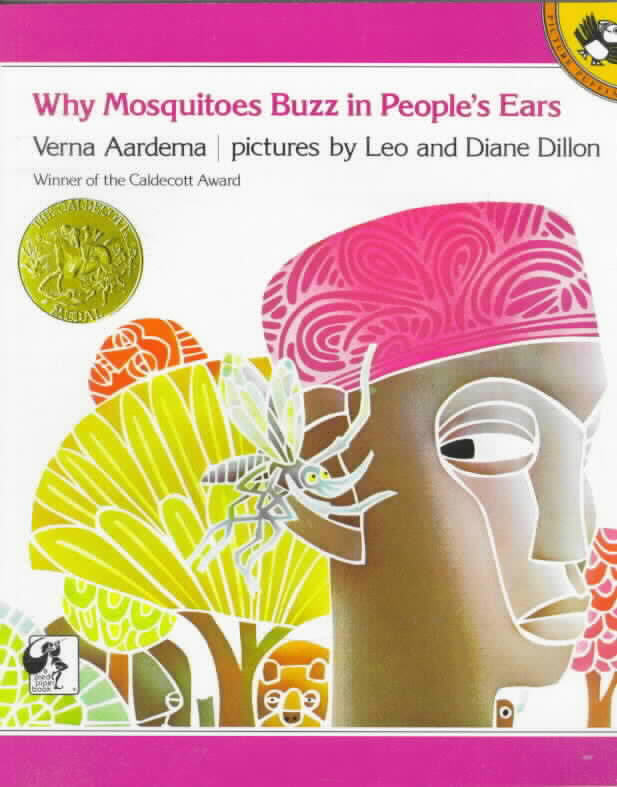 Her book, Why Mosquitoes Buzz in People’s Ears (1975), illustrated by Leo and Diane Dillon, received the Caldecott Medal in 1976 and the Brooklyn Art Books for Children Award in 1977. Who’s in Rabbit’s House? 1977 was the 1977 School Library Journal Best Book of the Year and a Lewis Carroll Shelf Award winner in 1978. Aardema received the Children’s Reading Round Table Award in 1981, and several of her works have been selected as Notable Books by the American Library Association. Her Oh Kojo! How Could You! won the 1984 Parents’ Choice Award for Literature.